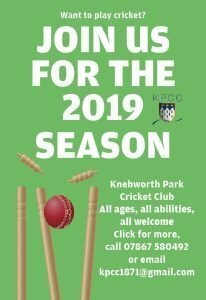 Knebworth Park romped to an 82-run win over Broxbourne on Saturday to invigorate their Division One campaign. It overturned two previous defeats at the hands of their East Herts opponents, having lost to them in the county cup final last year and in the opening fixture of the season. Overall, it was a highly controlled team performance that was given a strong start by Mo Ali, who made an excellent and restrained 90, and Josh Rosebery (32). After 79 came off the first 20 overs, Adam Sergeant (31) carried on the good work as they added a further 73 for the second wicket before both he and Ali fell in fairly quick succession. Tariq Umair (10), Haydon Bartlett-Tasker (18) and Charlie Randall (29) maintained momentum before they lost a flurry of wickets at the end in search of quick runs slipping from 208 for 4 to 240 for 9 in the last seven overs. Sam McCrow (1 for 24) made the breakthrough in the first over and then, on the last ball before the break to watch the football, fellow opener Gagan Dissanayake was inexplicably run out in a mix-up with fellow batsman Charlie Willis to leave them at 30 for 2. However, both Conor Ridley (22) and Willis (32) fell at that score after they had tried to establish a foundation for a run chase. The Park’s spinners were also gaining a stranglehold on the game. Mo Asif (2 for 40) and Matt Hutchinson, who bowled a terrific spell of 3 for 36, made run scoring difficult as Broxbourne slumped from 90 for 3 to 128 for 8 in the space of eight overs. 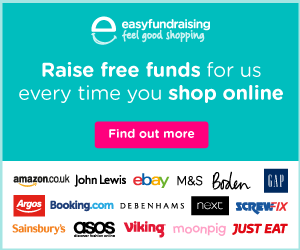 No.8 Steve Humphries did his best with a counter-attacking 33 before he was last out as the Park’s third spinner Mo Ali bagged three wickets to remove the tail in bowling them out for 158 in 39 overs. 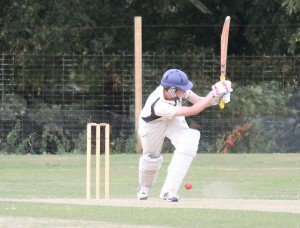 Robert Morley, pictured, cracked a fine half-century as the Seconds got back to winning ways with a facile victory over bottom club North Mymms II. The opener started cautiously before kickstarting his innings with a sweetly timed pull which sailed over the boundary for six. He then unfurled a range of drives and punches to ease his side home in a game which lasted less than 60 overs. Morley, who finished unbeaten on 51, was helped by skipper Jono Evetts (26) and teenager Archie Stephens (34) as the Park eased past the visitors’ 132 all out for a seven-wicket win. Earlier, the Park looked set for a long, hot day in the field as North Mymms elected to bat and their openers got away to a decent start. But left-armer Neils Hart struck three times to bring the innings to a halt. There was little depth to the visitors’ batting as they limped to 132 all out on a superb batting track and lightning quick outfield. Ollie O’Brien also chipped in with three wickets to complete the demolition. The total never looked enough and so it proved to be and, with Morley in fine form, the Park took just 19.1 overs to wrap up the 30 points. A spirited performance from the Thirds wasn’t enough as they fell to their high-flying Potters Bar equivalents. A depleted side due to England’s heroics in Russia along with injury meant that both teams took to the field with ten players. The Park task got even harder as Potters Bar asked them to bat on a pitch with uneven bounce and lots of turn. Despite several of the top order batsman getting starts the Park innings failed to build any momentum with Pete Bayford top scoring with 21. 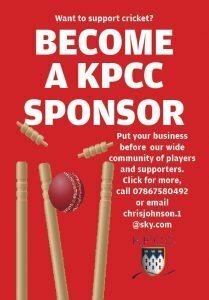 A battling partnership of 36 between elder statesmen Chris Johnson (10) and Richard Jones (18) for the ninth wicket took Park past the 100 mark with the innings finishing in the 41st over with the sore on 112. With a difficult pitch to bat on the Park bowlers began brightly with Ian Woods (1-23) getting the early breakthrough. Park were to regret several missed chances as the innings continued after the introduction of Mark Taylor had given them hope in taking 4-16 in just seven overs. No further wickets fell though as Potters Bar reached their target in the 24th over. With the exceptional circumstances surrounding this game it’s not one that Park should look back at but with the second half of the season now under way, improvements in the coming weeks will be needed if they are to survive. Hoddesdon demonstrated why they’re league leaders against a Knebworth side still buoyed by their victory last week. With the teams agreeing to an 11am start, Hoddesdon won the toss and elected to field first. In a repeat of last week, Phil Wheeler (33) and Jonathan Cirkel got the Park off to a good start in the face of a strong opening attack. For the first change, Hoddesdon brought on Savanhu who is comfortably the quickest bowler so far seen in the league. Despite Cirkel hitting him for two boundaries in his first over, he got his revenge in the next with a super delivery and did the same the very next ball to remove John Inman. James Roos steadied the ship a bit and defended well but the speedster got his third removing Wheeler with the first ball he had faced from him. James and Simon Roos then had a mix-up with calling and Simon was runout for a single following a direct hit. Catherine Cirkel struck a couple of good fours before playing a rash shot so Knebworth were in familiar territory. 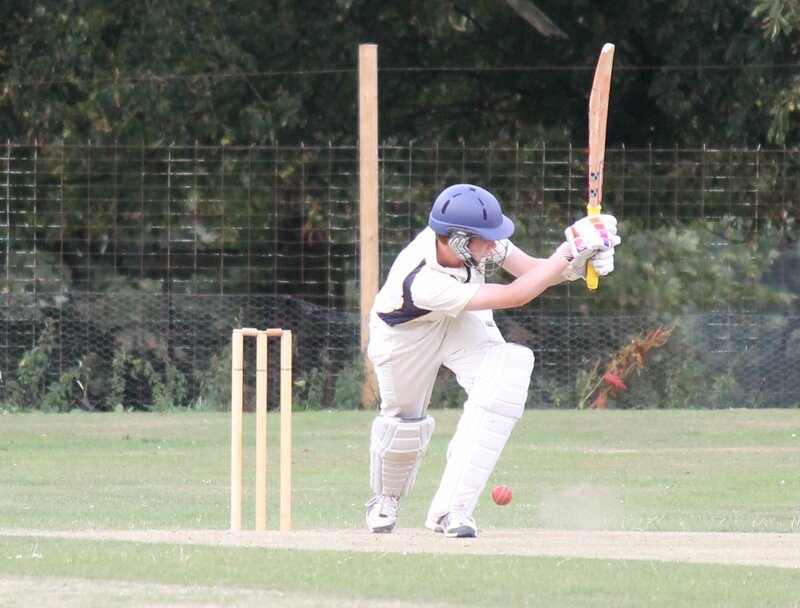 However, the hero of last week Dean Digweed again played an excellent innings to put the Park back on track. Although James Roos was soon out, Digweed was again ably supported by the youngsters of the side, Amelia Kemp (8) and Bella Hopcraft (5) while he punished anything loose. He eventually fell LBW just shy of consecutive 50s (47) and the innings came to a close soon after at a below par 155 all out in the 36th over. The Hoddesdon innings started well for the Park with Chris Gooch (83) driving Roos straight to deflect it to run out Savanhu. However, despite this lucky start, Hoddesdon never looked like they would struggle to chase the Park’s score. Hoddesdon built a winning foundation with no one really looking like they would make a breakthrough despite a tidy opening spell by Roos. Hoddesdon’s batsmen remained in control in spite of the determined efforts of all the bowlers where David Mantle was the pick. Both Kemp (1 for 21) and Hopcraft also bowled well without luck but Hoddesdon eased home with 13 overs to spare.